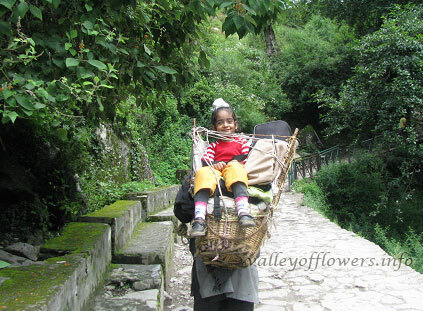 Valley of Flowers is our passion not just profession. Just browse through our website and give it at least 10 minutes and you will not leave it for hours and will come back again to check the unique and beautiful photographs and information about “The Valley of Flowers”. Almost every question is answered here and we know that there are many questions which you may not even ask but are important. 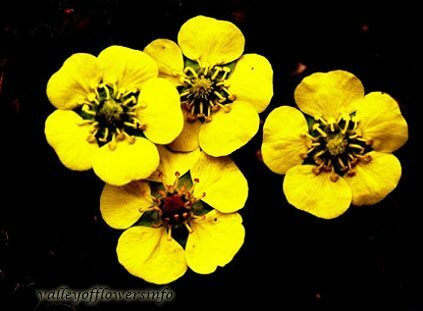 We are the number one tour operator for Valley of Flowers trek. 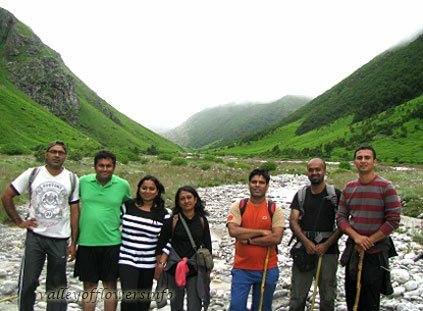 In 2015 and 2016 we took more than 2000 people to Valley of Flowers. 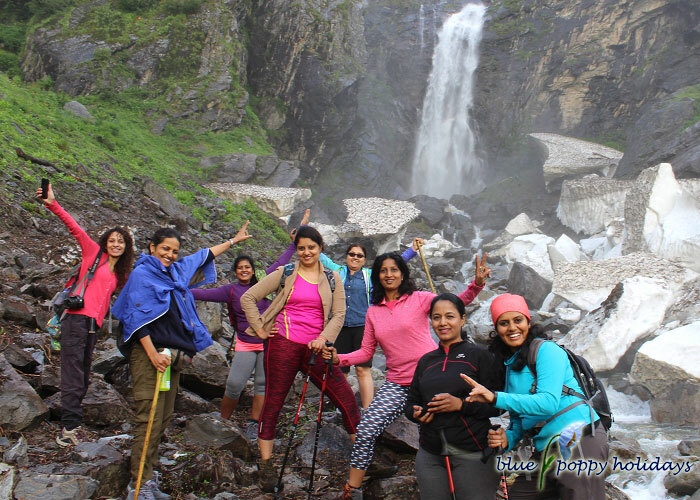 Every year we make some positive changes in itinerary and other arrangements for the trek. 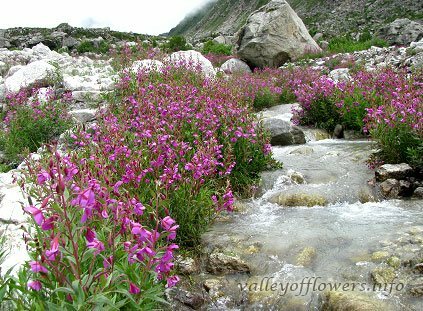 We are the only tour operator having two days exclusively for Valley of Flowers. 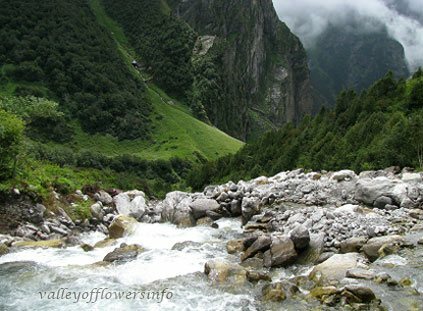 The trek route to Valley of Flowers from Ghangaria is changed after 2013 floods in the area. The new route is steeper. 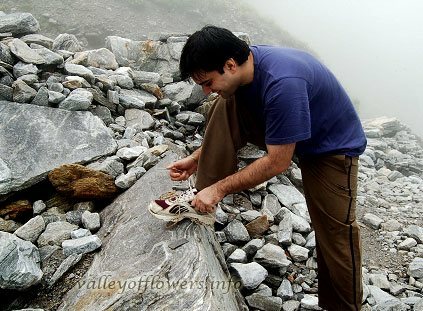 Some people from our groups skipped the second day of the Valley of Flowers. Also Auli is very near and can be combined with the trip. Keeping these two factors in mind we have made Auli part of our itinerary as well. 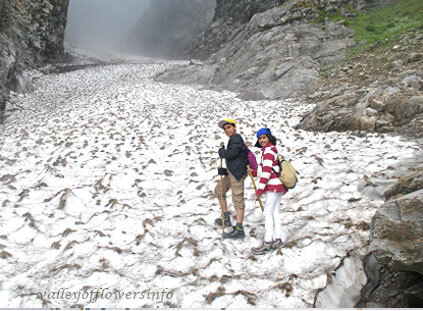 But we have options of skipping Auli and/or skipping second day of the Valley of Flowers trek. 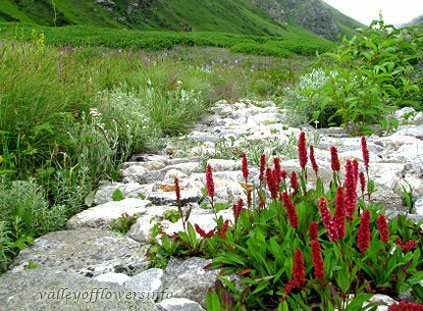 FACT: Most of the people visiting Valley of Flowers do not see its real beauty but all of them are happy because they do not know what have they missed. 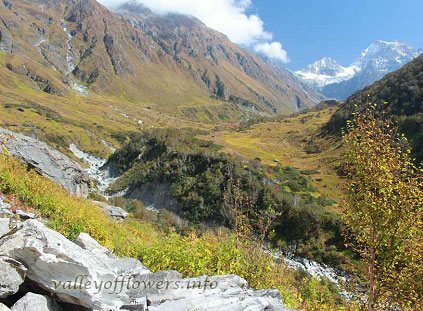 Just check our Deeper parts Gallery of the Valley.We are the only tour operator for Valley of Flowers who have been to valley three times after the floods last year. You can check our blog for updates. Apart from these options we can also customize your trip. You will need minimum of 5 days ex-Haridwar for the trip. If you have extra days we can add some other destinations also. Please fill in your details on any of the forms here and tell us your requirement when we contact you back. Alternatively you can mail us on trekforall@gmail.com telling your requirement. In 2015 and 2016 we have taken more than 2000 people to Valley of Flowers. Following are some of the pictures of the earlier groups. 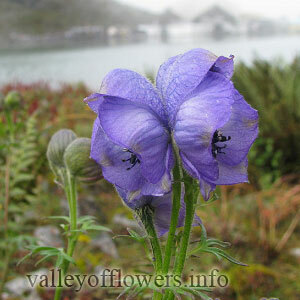 Aconitum violaceum is a 20 - 60 cm tall herb with paired tubers. Few leaves are on ground and few are on the top of the stem. Flowers are blue or violet in color variegated with white. Stamens are many and filaments are hairy in the upper part. 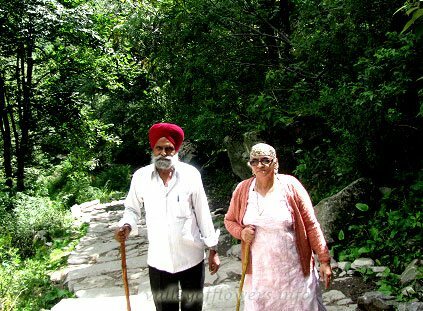 It is found in the nearby areas of Hemkund Sahib. People drinking water from streams flowing near to this plant can feel the effect of the poison of this plant. They feel drowsiness and in general drinking this water is not fatal.